Looks great!! Keep up the good work, and put out a swashbuckler concept art out for me please! Behind the leg mad crazy bow skills? Neat. That's a viking? He looks a bit like a homeless guy working at a renaissance fair for a few bucks. He looked like russian medieval peasant because of the baggy pants and the hat. Viking peasant wouldnt have the money or the material to make such fancy clothes... ESPECIALLY not the baggy renessaince pants. But the drawing ten times better than anything i could draw. Wrong. 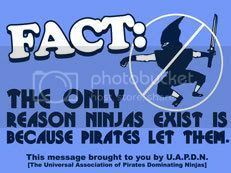 You guys outta know by now to do research before bashing. Bondi were not the lowest class or a peasant. Thralls or praell were the lowest slave class. A Bondi was a freeman landowner. Being a landowner didnt mean exclusion from owning finer linens--in fact they had servants below them-the thralls or praell. 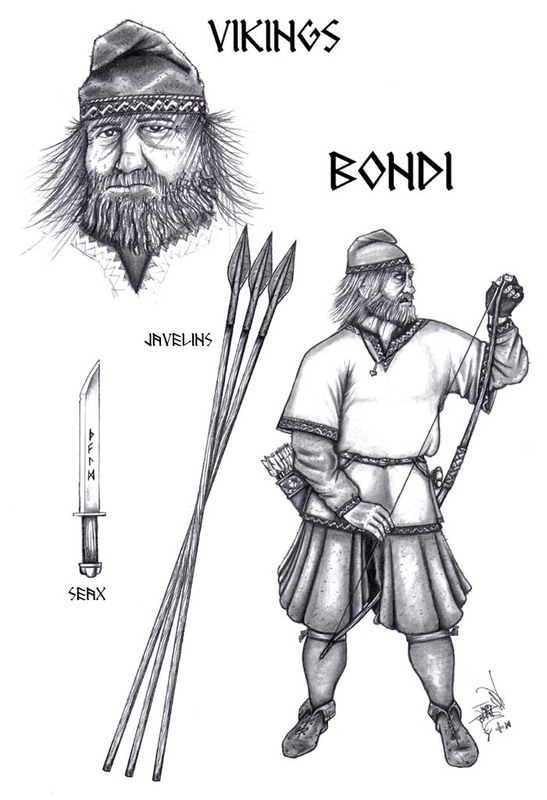 Bondi even had the potential to become Jarls. Someone who could have the potential to become the next king would not look like a sack of potatoes. My first thought, as I saw the picture, was "What, the Bondi is a bum?" Then I noticed the funky hat and thought "It's Homeless Smurf!" But after your explanation I bow my head in shame. He looks fine, although he really should let go of the mead - just take a look at his eyes! I dunno, it might be realistic and all but he lacks the 'meh' I seek in the vikings. I love it. I also love how you guys are taking a more realistic approach to vikings. Also remember that the bondi class was a very broad one ranging from impoverished peasants to men of wealth and local authority. So he dont need to look like a rich man. And dont take this as bashing. Im just adding my two cents. I like the style Hengis, nicely done. So is this going to be the "stealth" class for the vikings? If so it would be quite fitting since he looks very hunteresque. Except for maybe the pants, I'm kinda confused trying to make it out. Is he wearing super baggy pants that are tucked into his socks? Or has he adopted some kind of pirate fashion? What happened to the old crazy ninja sam fisher Bondi concept? Not that it matters, this looks more realistic and better. He looked like Russian medieval peasant because of the baggy pants and the hat. Viking peasant would have the money or the material to make such fancy clothes... ESPECIALLY not the baggy renaissance pants. Well, the Scandinavian countries DO border Russia. They have a chance of having similar looking clothing. And for the era that the vikings were actually really active... (don't kill me if I am wrong) 500's to 1100's ish... that is appropriate garb. Man, those are very good drawings. 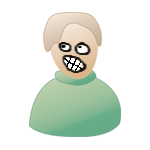 It's very usefull for a modeler like me to have such high detailed references. Thx and good job ! Bah, he looks more like an hobo than a warrior to me, Gj anyway. mmmm Javelins and a bow! This is going to be my favourite class! Especially seeing as how the vikings actually sailed to the black sea and up certain streams in Russia to trade. Vikings did much more trading than plundering. He has a Mjolnir pendant, therefore, he's obviously a Viking and not a homeless dude. Duh. Though, what exactly is he doing with that bow? I believe he's stringnig the bow? I believe he's stringing the bow? Ooops, no edit button and I hit the quote button thinking it was the edit. I just fixed a little grammar mistake. Now you made it a triple post. See what you done demon!